We welcome the following trainers to the Child Care Aware® of Missouri Training Team! 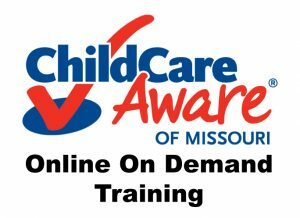 Child Care Aware® of Missouri offers a wide range of training session topics across the state through in person and online, in real time, formats. To find a training that has been scheduled in your area, or on line, visit the Missouri Workshop Calendar and enter the training title in the search bar. Registration instructions are included with each scheduled session. Courses are available 24 hours a day, 365 days a year. This training is designed to assist child care educators to earn Missouri approved clock hours toward licensure, a Child Development Associate (CDA) credential and CDA renewal. All clock hours offered are approved in Missouri for clock hour credit. 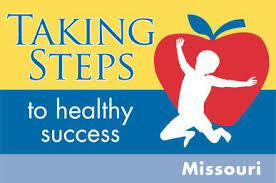 Taking Steps to Healthy Success-MO is an early learning collaborative promoting healthy environments and policies in child care settings.